Montebello Mom: Free College Level Art Classes for High School Students! Free College Level Art Classes for High School Students! I came across this program at the Downtown Bookfest. The Ryman Arts program offers high school students who are serious about a future in art to take college level classes and explore possible careers in art. 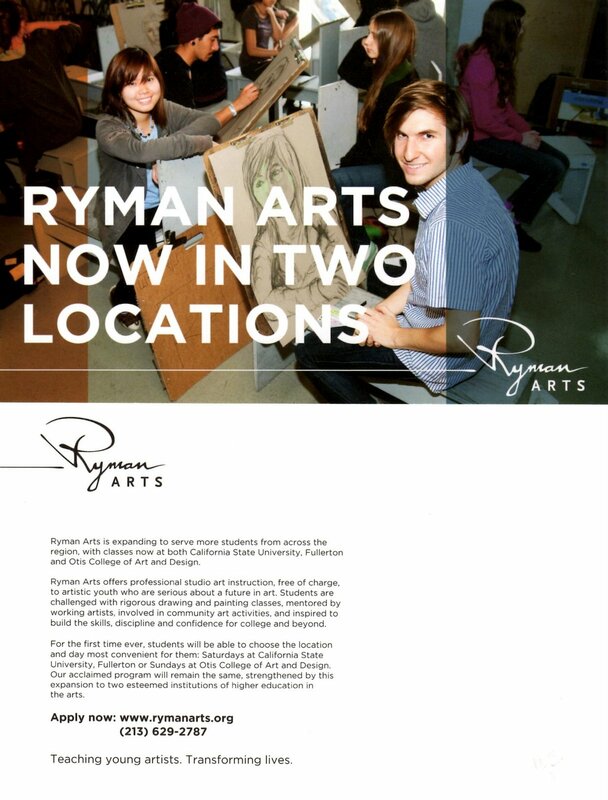 Students take 3 semesters of college level art drawing and painting courses on the weekend, are mentored by Ryman alumni & Disney artists, and build their professional portfolio. I met Francisco, a Montebello High School graduate, class of 2008. He is a Ryman Arts alumni who will graduate with a Bachelors of Fine Arts degree from CSULB. In the fall he is continuing his studies on full scholarship in China. He says the program is a strong stepping stone for any student interested in art.